Tirana Roofing & Dokaj Contractors Ltd. Reviews for Tirana Roofing & Dokaj Contractors Ltd.
Angjelin is the best! Professional and highly skilled. Last minute request in the downtown core accommodated immediately. Competitive pricing ! Very, very happy customer! Work completed September 14th, 2018.
thank you so much for the kind words we always strive for the best service possible. Tirana Roofing was a pleasure to deal with from start to finish. The communication was great and they exceeded our expectations. We have a really old Toronto home and the flat roof needed some serious TLC. Tirana Roofing was up to the challenge and provided a fair quote. All the workers worked very hard, the house was left spotless during and after the job. Angjelin is an amazing problem solver and has many good ideas. They are not lazy and have great attention to detail, they take pride in their work. I would 100% recommend them to anyone and would use them again in a heart beat. Yas thank you for your hospitality and your kind words we look forward to working with you again on your spring project. After having had other quotes, we decided to contract with Tirana Roofing. Why? Estimated cost, reviews, here, on Homestars, and having met Angeline. Angeline and his crew (bothers, cousins, et al) and began working around 8:00 a.m. and continued almost without stopping until it was dark. We soon had an "oh no moment" when we learned that our old house had old boards, many with holes and/or spaces between them. It seemed necessary that we have Angeline to cover the boards with plywood. Of course, this necessity pushed up the cost. Our cost also included quite a bit of additional insulation in the attic that we asked to have done. The work continued throughout the second day. In addition to liking their expert work, we were very pleased with the crew's highly professional attitude, their affableness, and thoroughness. Cleanup was perfect, down to the last errant nail and scrap. So here was a crew not just highly capable, but one that even seemed to enjoy their work. We can be pretty picky about work that we pay for; we didn't need to be this way with Angeline's crew. We found nothing to criticize. Great job! Thank you, Angeline, and please give our best to your crew. Hey Brian, thanks for appreciating our workmanship! It was a pleasure doing business with you too. Very professional! Also very Fast, they finished my roof in just one day!! When they left, they had also cleaned up any debris from construction which I'm very thankful for. I spoke with angjelin, and he was friendly and professional. Him and his crew did an amazing job! I definitely would recommend them to my friends and family. hello Nancy thanks for your kind words it means alot to hear good feedback from our customers as we strive nothing but 100% satisfaction. Angjelin and his crew did a terrific job replacing my roof damaged by the windstorm. 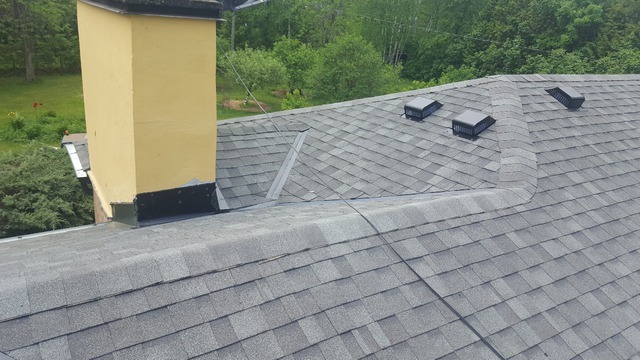 Upon his inspection, he noted that there were multiple layers of shingles to be removed. Apparently the other guy I hired in 2008 just tacked the new shingles over the old ones. Angjelin took pictures to show the condition of insulation and plywood and let me decide whether I want to have both fully replaced. No pressure, entirely up to me - but I decided to go ahead with full replacement because of mold. He fixed a lot of things at no extra charge: removed the ugly old vent that did not actually serve its purpose and replaced it with 6 new shiny, modern vents; connected the bathroom vent left unattached by another guy who did the bathroom; painted the rusty heating vent, etc. But the most touching thing was when he and his brother Tony came to my house one rainy night when I called them because water was leaking in the house. They were on the roof at 8:30 pm adding more tarp - this, even before they started work on the project. They are so nice that I asked for a quote for a reno project inside the house. They are general contractors as well, so I look forward to another reasonable quote! hello Liz I am very happy to see a good feedback from you we thank you for everything that u provided during our 6 days of work there and we are looking forward to working with you again soon on your interior renovations. Angjelin was prompt in responding to our request for a quote. He was friendly and professional. The day of the roof replacement, he and his crew took time to ensure that the house was properly protected. 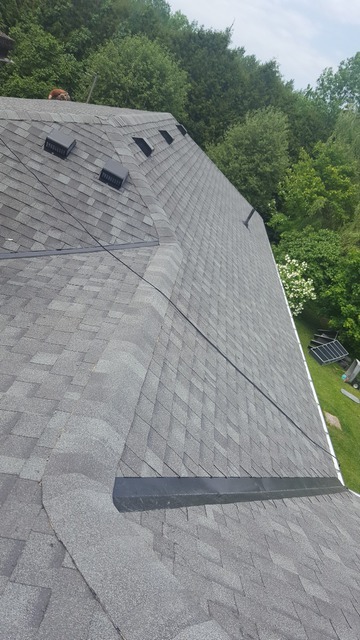 They were very efficient in the removal of the old shingles/installation of the new and ensured that the property was cleaned before leaving. Happy with the results thus far and recommend Tirana Roofing for anyone with roofing needs. I am glad to hear good feedback and that you acknowledged our craftsmanship. we appreciated the Cinnabons, cherries and cold drinks! I called Tirana Roofing a couple of years ago because our shingles were starting to curl and I was worried they should be replaced soon. Angjelin came by right away and told me he thought we could wait a year or so before they really needed to be replaced. I thought this demonstrated good honest business practices. 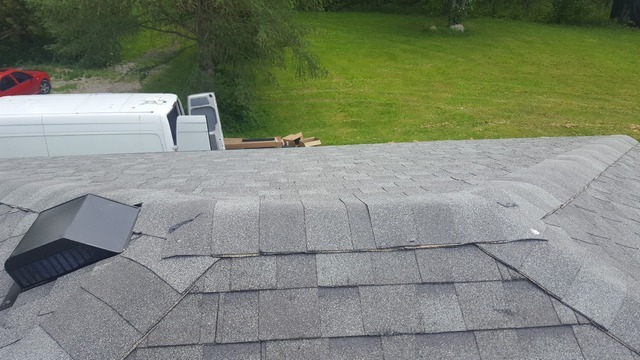 So when a few shingles were damaged in the recent wind storm, I didn't hesitate to call them back. I wasn't disappointed. Angjelin and his team were very professional and friendly, and they did a great job on the roof. Also cleaned up very thoroughly before they left. I definitely recommend them for your next roofing job! and we all thank you so much for the hospitality. 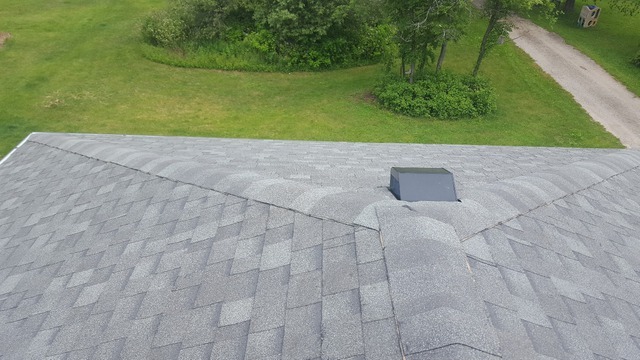 Due to recent wind storm, we had two patches of shingles and an existing ventilation problem to be fixed. We called Tirana and Angjelin showed up when he said he would. 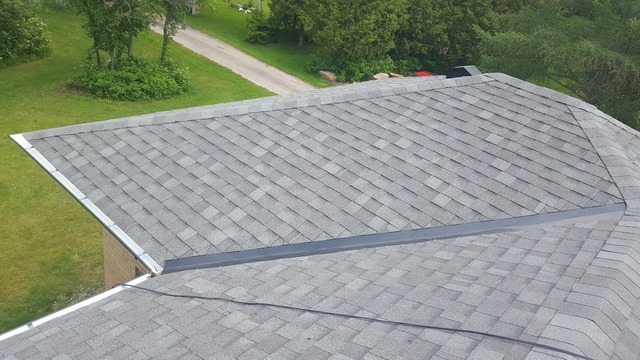 He took pictures of our roof and explained what needed to be done. He also explained that We had a wrong ventilation cap. He even took the effort to show the different type of caps on his phone. we were comfortable with his explanation and hired him. He would text us the time and showed up to fix our roof. Due to my busy schedule, I was not even at home to monitor work. He would send the photos of his finished work and I sent the wire payment. I would not say that his price is the cheapest. What I like the most about the experience is his professional service and workmanship, and the convenience of our transaction. From my past experience, workmanship matters as I shouldn't have so much damage considering it's a 6 year old shingle. We recommended to our neighbours and they were impressed by the service. hello there another happy client to? Wow. These guys are amazing. We were hit by the recent windstorm and had a terrible time with other contractors. Tirana showed up quickly, assessed the damage and got to work right away. They were more than fair with their pricing and were very helpful explaining the process. Class acts, super nice and saved our bacon. We will definitely be reccomending Tirana to our friends and family. Great job! thank you for the kind words and the wow? it tells other people of what to expect from us. working with us it's been a crazy week for sure thank you for your kind words much appreciated ? More about Tirana Roofing & Dokaj Contractors Ltd.
Tirana Roofing & Dokaj Contractors Ltd are licensed and insured for roofing and general contracting. 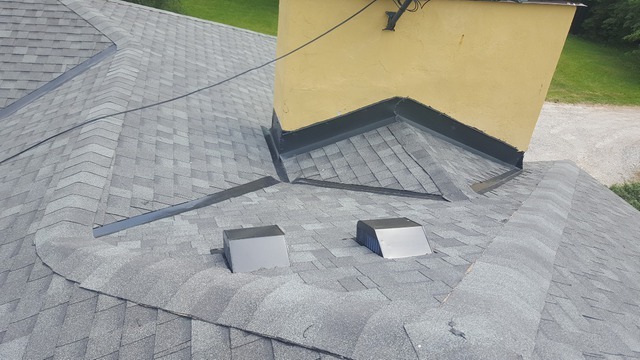 We provide first class quality roofing in Toronto & the GTA. We also strive to provide reasonable quotes on concrete work & carpentry work such as doors, trims, drywall, texture and paint. We offer free estimates & senior discounts. Give us a call and we can help! We at Tirana Roofing & Dokaj Contractors Ltd combine quality professionalism and years of experience to each and every roof installation not just as a water shield, but rather, a work of art to be admired for many years to come. It’s a mixture that has been proven to be very successful and popular for all of our clients. At Tirana Roofing & Dokaj Contractors Ltd, We have the man power for any size job and the ability to fulfill the dreams of today’s architectural masterminds. 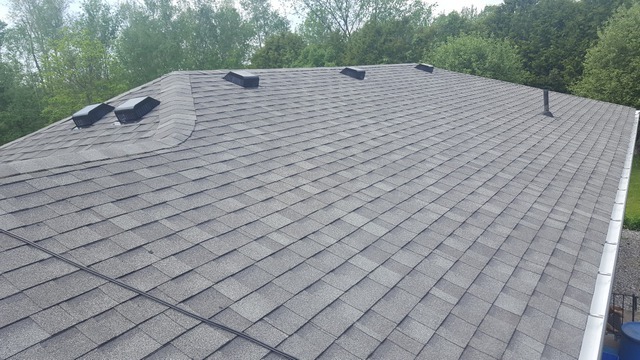 Using advanced installation techniques and the latest roofing materials; all of our jobs are completed per manufacturer specifications and in a timely manner. With choices ranging from composition shingles, clay tile, concrete tile to slate, wood, metal roofing or a simulation product; the decision on the type of material to use on your home or commercial office can be a difficult one indeed. We have built up a strong reputation in the local area, simply by doing a good job at a reasonable cost and on time. Ask your estate agent, architect or surveyor. They can tell you more about the quality of our work and why so many local people choose us. We can provide you with local references if you want them. Give us a call, we can help.